Do customers find your e-commerce website safe? Security of your online business has become a big question mark nowadays, because of notorious hackers, who are updated with the latest software and can crack into your website in a jiffy. Today, any one can learn how to hack websites as there is ample info out there on hacking. There are many amateur hackers who enjoy hacking into websites just for the thrill; at the same time there are millions of hackers out there, who are a serious threat to your online business. Once these hackers catch hold of personal information of your online customers they can commit frauds easily. So it becomes extremely crucial for you to safeguard the confidential information of your customers like credit card details and info on identity. As most transactions take place online, the credit card or bank details of customers can be recorded. If a hacker manages to reach the details then you might be handing over important details that your customers trust you with. 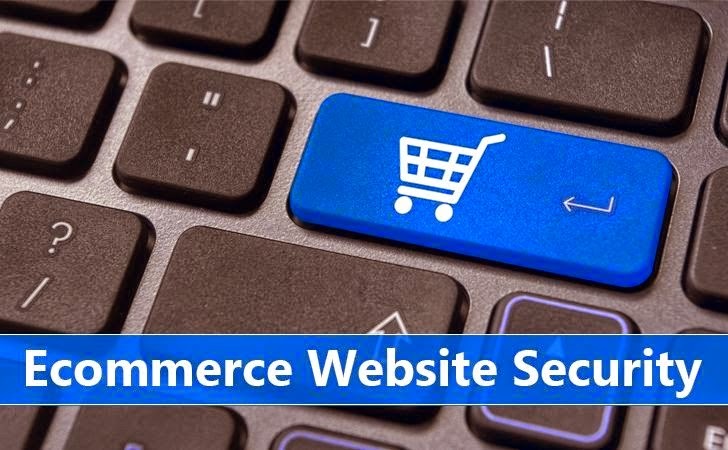 Big websites generally have so many security measures that they cannot be easily hacked into hence it is the smaller e-commerce sites that the hackers target. There are many ways by which you can complete your transaction with your customers without needing to store their details. Even if you do need to store details you can store them for a stipulated period of time during which the chances of a hacker striking is very low. Just to make your website look professional, do not go on collecting data unnecessarily. Asking for the bare minimum details of your customer reduces the chances of hackers stealing the data as you do not have much information stored away in the first place. The PCI Standards ask for the E-commerce sites to only store data that is necessary for charge backs and refunds. When your customers make purchases you might not have to store their sensitive credit card details if you hire the services of credit card verification systems. These third party systems are helpful as you no longer have to be liable for the details of your customers. Having hired the services of these systems you allow your customers to get redirected to the secure payment page. This page allows the customers to provide their card details and your site is spared the trouble of storing this info. Even the biggest E-commerce websites, like Amazon, use these third party services to enable payments. Most potential customers will choose to avoid your site if it does not have SSL certificates. The SSL certificates are there to ensure that the website is authentic and that the data that is being transferred is encrypted and safe. Apart from acting as a proof of authenticity the SSL certificate prevents hackers from tracking the web traffic of your customers. This prevents the hackers from zeroing in on the transaction details of your customers. Commercial websites like Torrentz.eu have SSL certificates which provide security against hackers. If you choose to store the customer information then it is a good idea to allow your customers to create a profile which they can log into for future purchases. At the same time, storing such data makes it vulnerable to hackers. By asking the customers to have complex passwords you might be able to protect their profiles from being hacked. If your customer is using a simple password then any amateur hacker might be able to hack into it. But by asking your customer to use characters and numbers along with letters, you ensure that the password is strong. Using a single firewall might not be enough to stop the driven hackers that scourge the World Wide Web. You may choose to start with the most basic firewalls but you need to build layers if you wish to keep your site safe. Adding an extra security system to the website in general is not sufficient. Try to add security systems to your search box, contact forms and login boxes. Anti-malware and intrusion detectors can be added to the security systems to stop the hackers from getting thought the layers of security that you are adding to the site. When you build an E-commerce site, you can avail the services of different e-commerce platforms. The platforms allow your customers to store their purchases and commence to the payment for the purchases. There are various open source e-commerce platforms, like Magento which is owned by eBay. But when you avail the services of such platforms, make sure that the platforms are secure. Safe platforms ensure that the administration panel is not available to public servers and thus are only available to the internal networks. Apart from hacking into your website, the security of your customers can be jeopardized by any untrained employee. You need to train your employees to not forward any kind of sensitive data to a third party. The employees need to be aware of the protocols that ensure that your site remains safe for your customers. Training and strictly written policies can ensure that your employees do not put your customers at risk. There are many kinds of software and services that you can avail to keep your site safe. But the hackers are sure to educate themselves enough to be able to overcome the systems. This is why all software and services that are there for protection keep getting updated. So it is of utmost importance to keep your systems and software updated. Hackers are sure to try and break down your systems so that they can get to any sensitive data that your site holds. By deploying various protection methods you can manage to keep the data away from the hands of hackers. If your site losses customer data then your online business cannot become successful as customers would no longer find you credible. Losing customers is something that very few businesses can afford today. So, ensure a safe site for your customers to enjoy the services of your business.